» Gaming PC Builds » What Do You Need To Build A Gaming PC? « How Is Absolver? Is It Worth Picking Up? Question is, what do you need before you start building your gaming PC? What are all of the different parts involved? Let’s go over everything you’ll need! There are several parts that are needed to build a gaming PC and it’s pretty easy to get lost and confused when you’re in the market to do a build of your own. It’s best to know what you’re getting into fully before even trying otherwise you risk messing up having the wrong motherboard socket or you accidentally got a video card that isn’t going to fit within your desired case. It doesn’t take a computer wizard to build a gaming PC. There are many people that believe you need to go to school for computer science or something similar before you’re able to build your own computer. It’s a pretty simple process once you understand everything you need before hand as well as understanding the compatibility with different parts being used together. It’s almost always best to go with your own PC build since you get the most bang for your buck that way. For the most part, pre-built PCs are a rip-off because you’re paying way more than what they’re worth. I suppose there are some pre-built gaming PCs that make sense but it’s almost impossible to get one that’s actually worth the retail price. I mean, the company needs to make money which I understand but if putting your own together is simple enough, why not do it? With all of that, let’s get to it. Let’s start out with the case. There are a ton of brands that make PC cases and there are different types of cases as well. As a general note, cases are labelled depending on its size and what type of motherboard it’ll be compatible with. 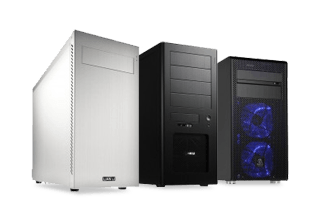 A mid-tower case can almost always use ATX or MicroATX motherboards. Most PC builds use a mid-tower case because it’s just what you need when going for a build that only has the essentials inside. There are also mini towers that are used for ITX motherboards, they’re mainly in the form of a small cube. It really comes down to what type of case you’re wanting to use… How big of a case do you want? What features are most important to you? Some cases have more USB slots, custom lighting or certain ways of handling where your storage is set. I’d suggest taking a look at the different mid-tower cases on Amazon to get an idea of what’s out there! After knowing what kind of case you want you can then pick out a motherboard. The motherboard is what connects everything together. Every motherboard has a different BIOS, a certain size and has certain features. No motherboard is the exact same and you need to know which motherboard to use that is compatible with every other part. BIOS stands for Basic Input/Output System. The BIOS of a motherboard is an interface you use to install your operating system and to tinker around with system settings. You can also start out by choosing your motherboard before the case to get an idea of what type of case to use. An ATX motherboard costs a bit more but you’ll have more room to work with. 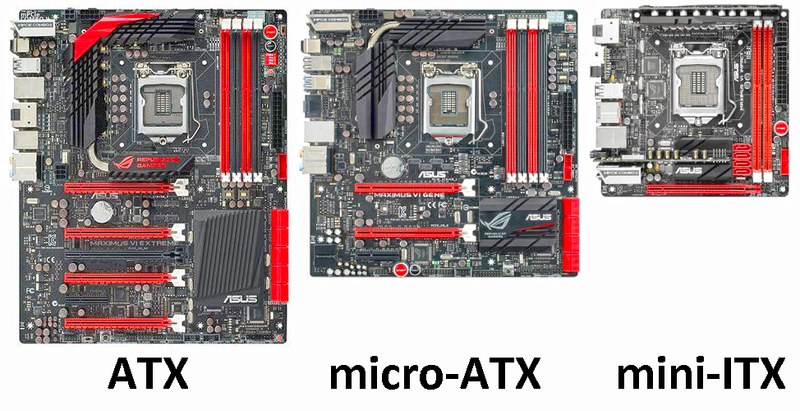 MicroATX boards are smaller but still have everything you’d need. ITX boards are mini motherboards designed to fit ITX cases like I mentioned above. You also need to consider the socket type on the motherboard. 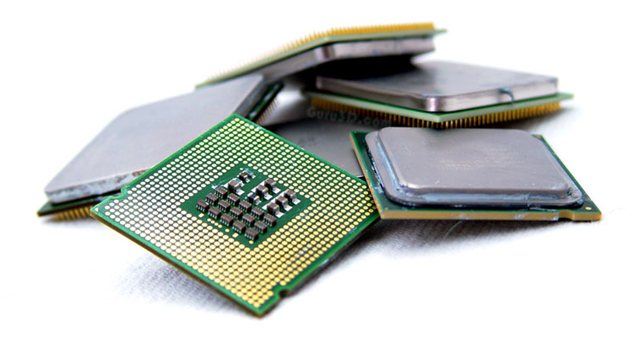 Each motherboard has a certain type of socket which will fit the corresponding processor. For example, an i5-7500 processor requires a motherboard with a LGA1151 socket so by knowing that you’re able to narrow down your choices. For a newbie building a PC for the first time, the different sockets needed for different types of CPUs is most likely going to be confusing but don’t worry! There are guides that I’ll share with you later on to help with all of that if need be. All in all, the motherboard isn’t an important aspect in terms of gaming but having a quality board will give you more features and a nicer overall experience when getting everything set up. The processor, or CPU (central processing unit), handles the speed and number of actions your PC handles at a given time. In terms of gaming, the processor is a pretty important part. For example, in a game where there are a plethora of NPCs or if a game world is being procedurally generated as you play – that’s where the processor comes in. You don’t need a ultimate, super powered CPU in order to game. Many people mistake needing the highest level i7 processor in order to maximize gaming performance but that’s not true. There is a fine line between different types of processors. At the moment, today’s i5 CPUs can handle everything you need when you’re only gaming. i7 and beyond is best for heavier processing tasks such as video rendering or graphics rendering. Having a powerful CPU is important if you’re wanting to run games at higher settings while maintaining a smooth frame rate, just remember that you don’t need the absolute best in the market in order to do so. 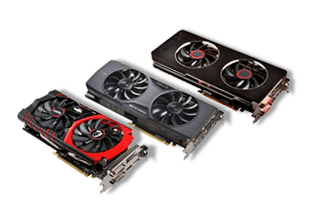 The video card, or GPU (graphics processing unit), is definitely the most important part when it comes to a game’s graphics. Textures, shadows and other graphics within a game is all handled by the video card. Like all of the other parts needed, there are a ton of different brands and models to choose from. There’s everything from very basic graphics cards that don’t cost a whole lot to top tier cards used for extremely high resolution gaming. For some PCs the CPU actually has a graphics chip integrated within. Now if you’re trying to play a recent AAA title then odds are you aren’t going to have a smooth experience but for a PC that is focused on office use or simple indie titles then integrated graphics would be a viable option. If you’re building a gaming PC then you’re most likely looking to play the recent titles coming out from big developers so you’ll need a dedicated GPU for sure. Choosing your video card comes down to what type of budget you’re working with and the size of your case. Every motherboard today out there has a slot for the video card to be installed so you just need to make sure it’s going to fit inside of your case! Every game takes up a certain amount of space and that’s where a hard drive (HDD) and/or solid state drive (SSD) comes in. You need to make sure that you have enough storage to store everything from games, files, pictures and programs. Some games are 500 megabytes whereas some games can be 50+ gigabytes. There are 1,000 megabytes in a gigabyte and it seems that as the gaming industry grows, so do the storage requirements. This means that you’re going to need plenty of storage! Most people are going to be good to go starting out with a 1 terabyte hard drive. There are 1,000 gigabytes in a terabyte so that leaves you with plenty of room. There are also solid state drives which are smaller in physical size but they can still store just as much. They’re more expensive per gigabyte but they’re also MUCH faster. The difference in speed is actually very noticeable, more so in load times for games/programs and the boot time when you go to start up your PC. 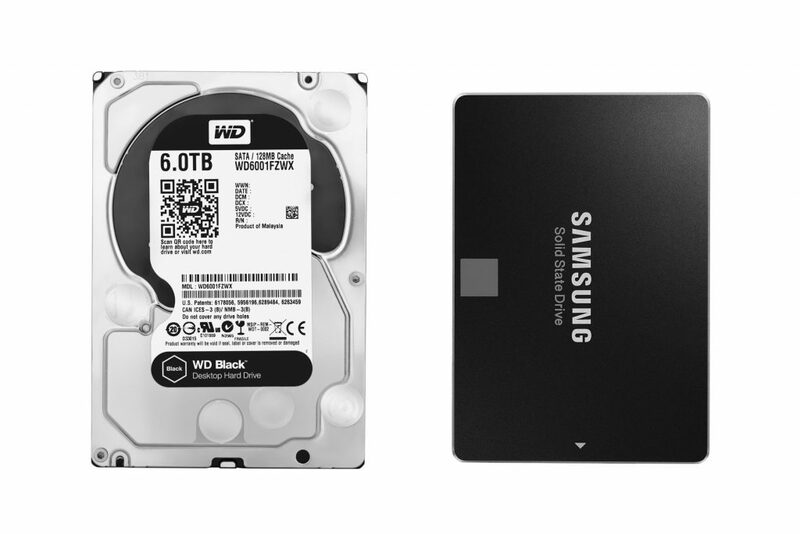 If you’re going to use a SSD, you’ll definitely want to install your operating system such as Windows onto it to make everything load up faster. You can read more about HDD speed vs SSD speed if you’d like. Some time of storage is required, having a SSD is nice but not needed. 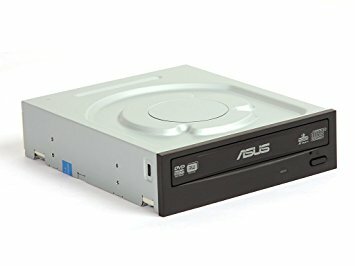 Many people like to combine having a smaller storage SSD combined with a large HDD just to make sure their most played games and most used programs load fast. The random access memory (RAM) of a PC handles how many tasks you’re able to do at one time. This isn’t to be mistaken with storage. Memory is what a PC uses to know what all is going on at one time. You need more RAM if you’re trying to watch a YouTube video, Skype someone and play a game at the same time. RAM can help a bit with gaming performance as well in the context of how much is added into a game. More RAM is going to help if you’re adding in a bunch of mods into a game. Having a bunch of mods in Minecraft or Skyrim will perform a bit better if you have the right amount of RAM to accommodate for it. 8GB of RAM is the industry standard right now, most titles basically require you to have at least 8GB of RAM if you want to have a smooth experience. In terms of a gaming PC build, even if your budget is around $400 you’ll still be able to afford having 8GB of RAM. It’s essential to have at least that much, no matter how much you’re spending. Having more than 8GB of RAM would make sense if you’re trying to run game servers or if you were planning on using graphics programs such as Photoshop. RAM helps in almost every aspect of a PC. 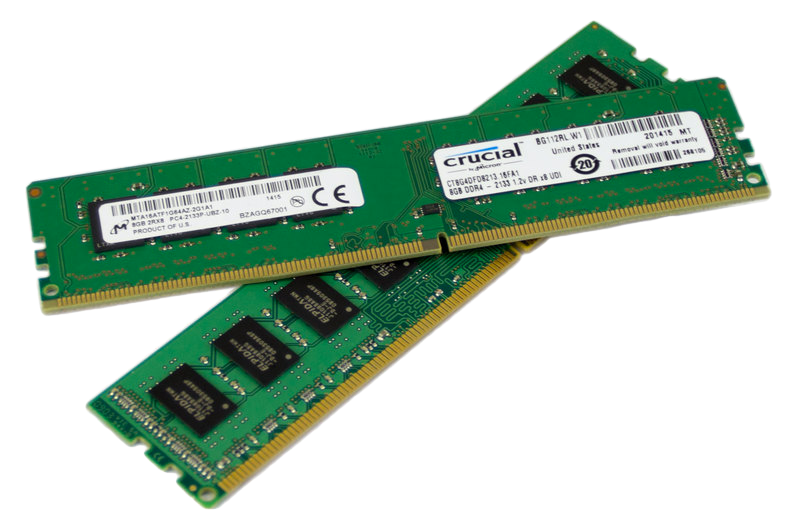 There are different types and speeds of RAM to consider, mainly when it comes to the type. Some types of RAM aren’t going to work with a specific type of motherboard so you need to make sure that your RAM is compatible before deciding on what to get. A power supply unit (PSU) is responsible for bringing power to all of the different parts of the PC. Depending on which parts you decide to go with you’ll want to make sure that you have enough wattage to keep everything powered. Power efficiency has gotten better over time meaning that there is less power needed for a PC than say 10 years ago. If you plan on overclocking or having more than one video card in your build at a time then you’ll need a higher wattage PSU. If you plan on running everything at stock with a single video card then you won’t need as much wattage in the PSU. There are different types of power supplies that say that it uses less energy while being used which is true – the higher quality the power supply the more efficiently it’s going to use electricity. You don’t need the highest quality power supply out there for a simple build, especially for a first timer. But you definitely don’t want to cheap out on your power supply because there are plenty of stories out there about how a cheap power supply ended up actually creating smoke within and ruining the other components. 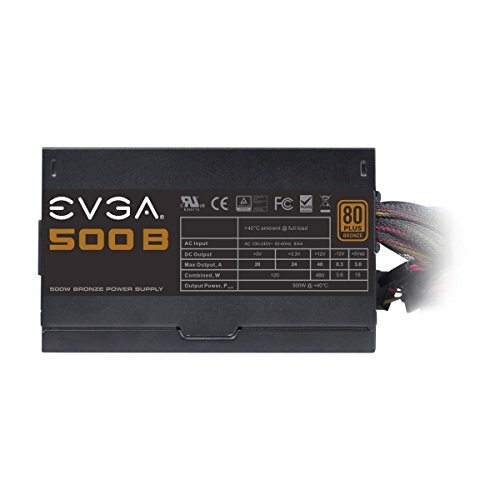 EVGA is my personal go to brand for a power supply, though there are many other great manufacturers as well to go with. Everything listed above is what you really need to bring a computer to life. All of the parts listed above need to be connected together to make a computer a computer! There are also some optional parts you could add in depending on what you’re wanting to accomplish with your PC. A CD drive is becoming less important as time goes on. Almost everything is digital now, I can’t remember the last time I used a CD to play a PC game. But if you’re wanting to use a CD to install your operating system then you’ll need one! You can also install an operating system via a USB drive, there are plenty of guides out there to help with that. Using a CD to get that done is what most people are familiar with, so it’s an optional part of the process. 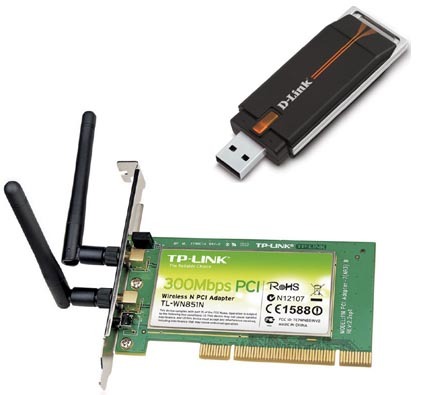 A wireless network adapter is needed if you’re going to connect to wifi. I always recommend going with a direct connection via an ethernet cable connected to your modem but if that’s not an option then you’d need a network adapter. There are plenty of network adapters available and every motherboard you’d use today in a gaming PC has the correct slot to install one in or you can go with a USB adapter. It’ll most likely come with antennas and depending on the driver support and what not, it’s usually an easy process to get connected. That’s pretty much it when it comes to the parts needed to build a gaming PC. There’s a bit to know for when you’re trying to put everything together as well and if you’re trying to execute that then read on! I’d love to help you get your ideal build going. I ended up not knowing at all what to do and it took me many hours to get it done because I didn’t follow a guide right off the bat. Don’t make the same mistake I did or even worse, don’t go into a build not knowing which parts are going to be compatible together. There are plenty of guides here that will point you in the right direction! Click on the link below to get started! From there you can pick your budget point and there will be a comments area for any further questions. You’ll get to see a part list that makes the most sense depending on how much you spend. It’s all about how much power you’re getting per dollar spent! So, are you going to be building your own PC? What parts are you deciding to use? Tagged building a gaming pc, how to build a computer, parts needed to build a pc. Bookmark the permalink.